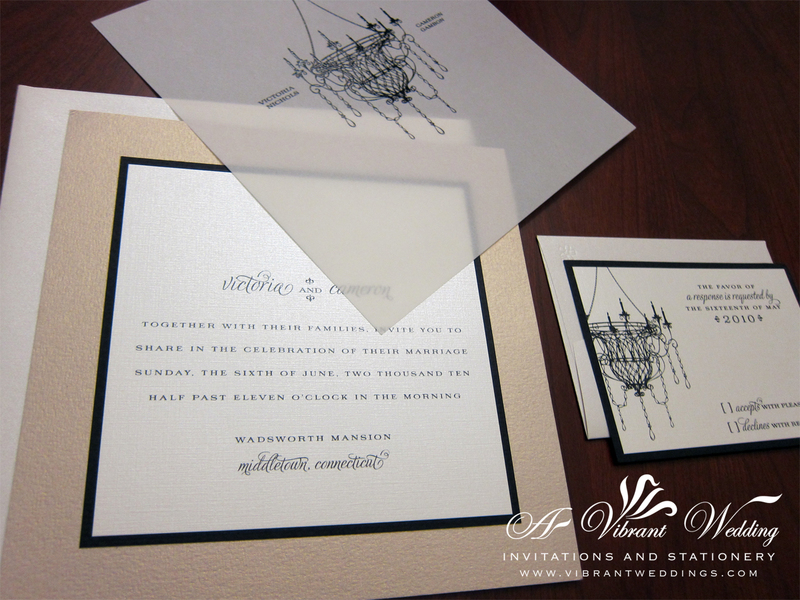 7×7″ Champagne, Ivory and Black Wedding Invitation with Chandelier Design, triple-layered (3 sheet of card-stock paper glued together), a 3.5×5″ Double-matted Response card, and two blank metallic envelopes (White or Ivory). 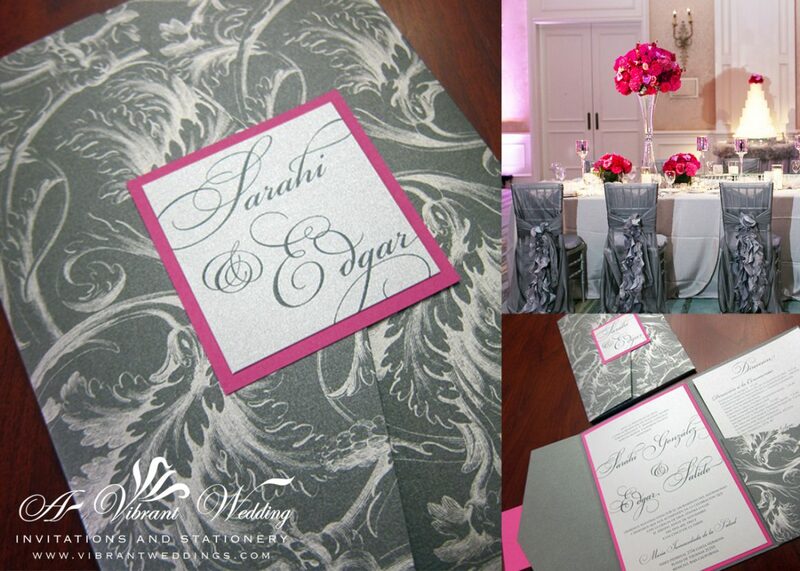 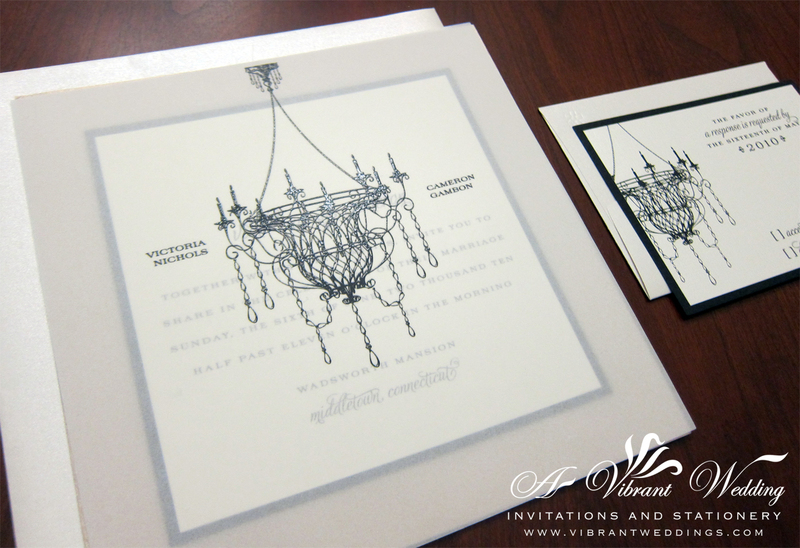 Includes the 7×7″ loose vellum sheet with the printed chandelier design. 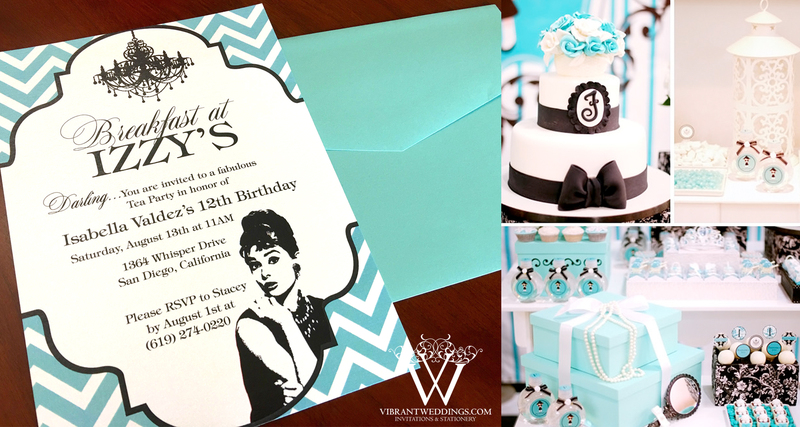 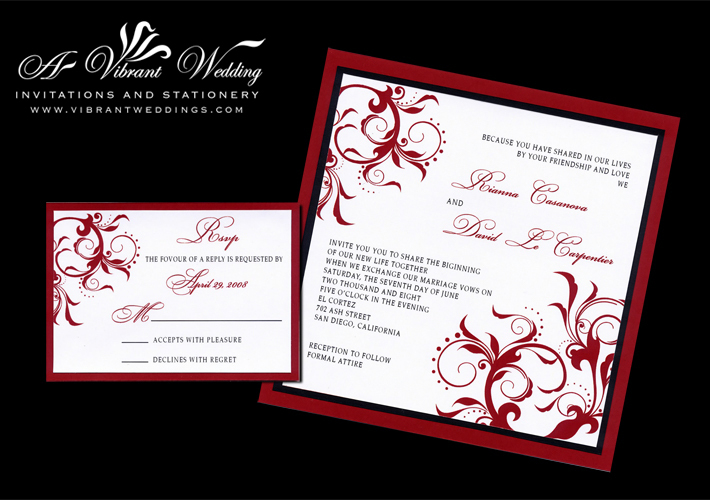 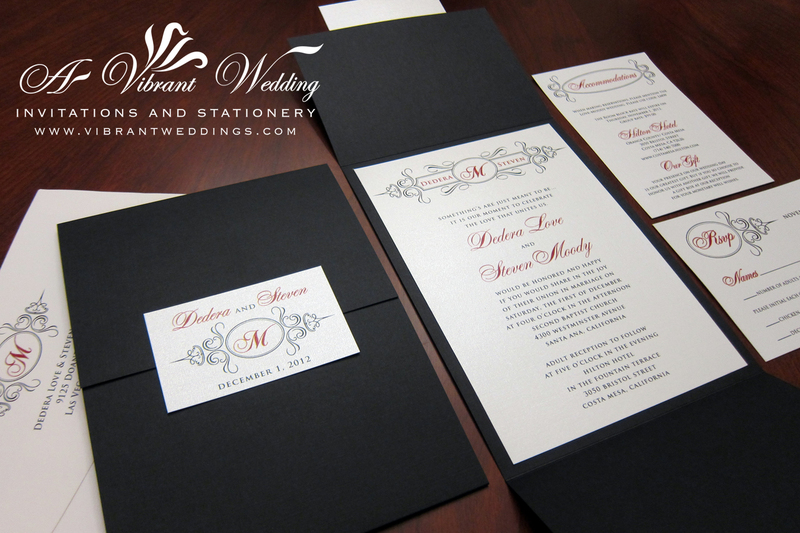 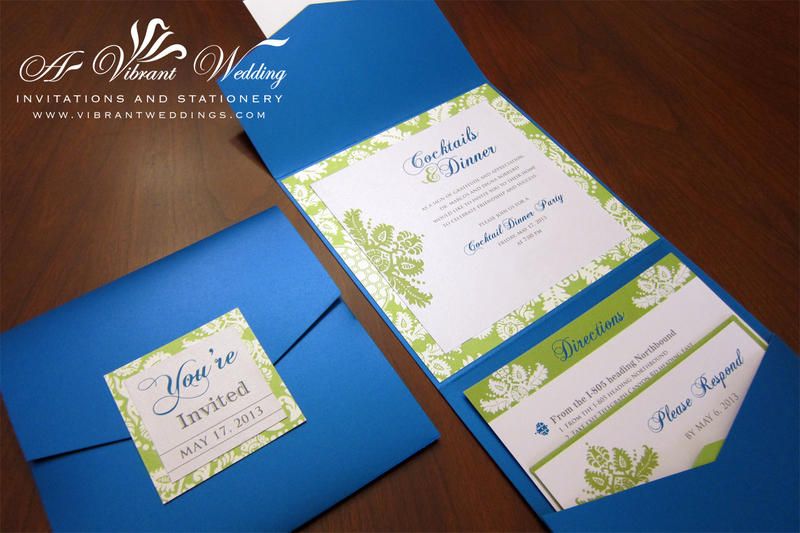 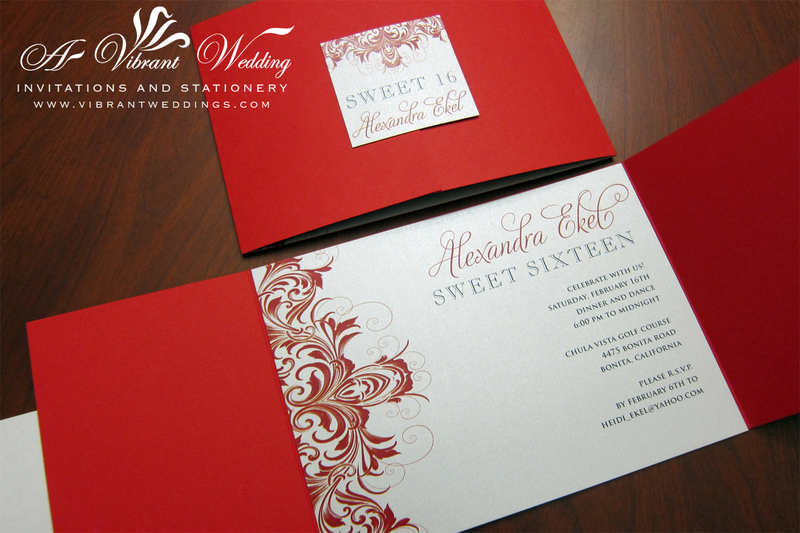 $8.00 per invitation suite for a set of 100 invitations fully assembled.